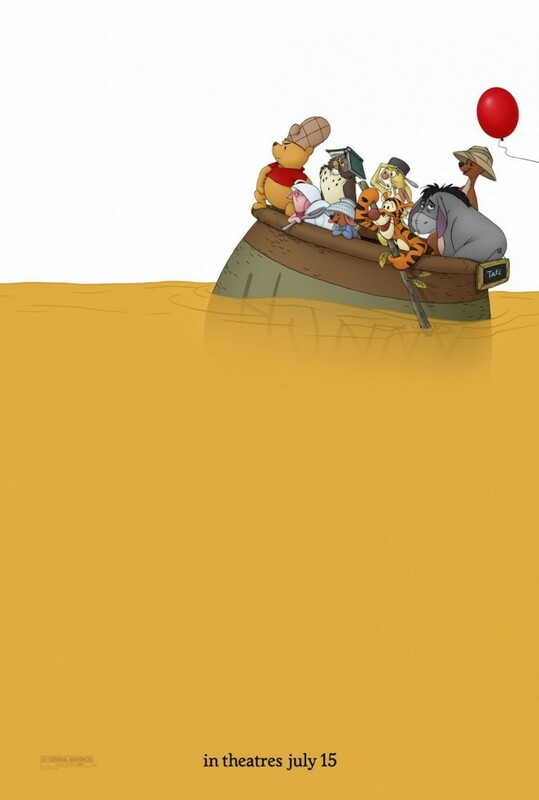 Winnie the Pooh movie poster. Loved the less is More concept! 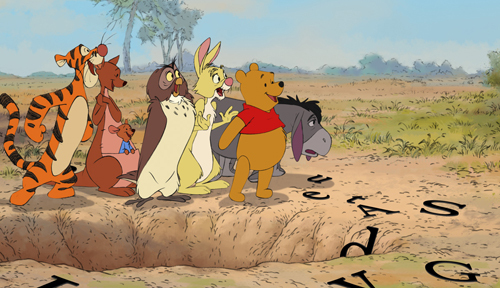 Last night I went to see the new Winnie the Pooh movie with my kids. It is a cute story but very short, perfect for youngsters. My girls are 10 and 12 so it is a little young for them but they have such fond memories of Winnie the Pooh that they could not wait to go. We did not stay until the end of the credits but I have since learned that there is a cute little ending, so stay put! We will have to rent it when it comes out. But the real treat of the film is how the story literally comes to life. The film is every graphic designers dream. I loved how they incorporated the words into the film and even used the letters as props. So creative! 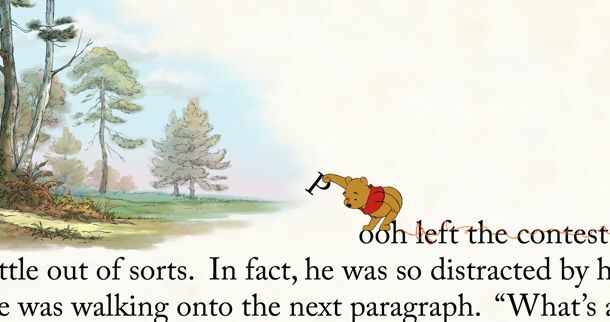 Winnie the Pooh has always been one of my childhood favorites. I even designed my son’s nursery in Winnie the Pooh. Now as an adult and as a designer I can see why I loved it so much as a child, it was my inner design diva shining through!